Apple shifted much of its offshore wealth in the face of a tax crackdown on a haven it had in Ireland, according to reporting Monday on the Paradise Papers on the iPhone maker's tax strategy. After the US technology colossus stated publicly in 2013 that it was paying its proper share of taxes, it moved the bulk of its untaxed overseas cash to the Channel Islands jurisdiction Jersey, the New York Times and BBC reported based on a once-secret cache of documents referred to as the Paradise Papers. The documents shared with some media outlets by the US-based International Consortium of Investigative Journalists has exposed tactics the wealthy and powerful have used to avoid taxes. 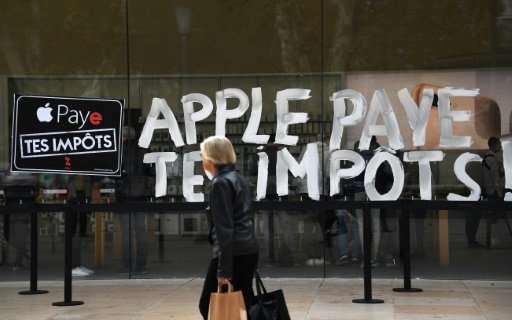 Prior to 2014, California-based Apple had taken advantage of tax rules to route overseas revenue through Irish subsidiaries to minimize taxes. As Apple came under pressure in the US and Europe about what was called the "double Irish" scheme it enlisted offshore finance law firm Appleby to find a new place to stash cash out of reach of tax collectors, according to reporting. Apple settled on Jersey, a dependency of the United Kingdom, which had a tax rate of zero for foreign companies, reports indicated. Emails cited in coverage indicated Apple wanted the arrangement kept secret. Apple is now facing an EU demand for some $14.5 billion in taxes based on a ruling that its tax structure in Ireland amounted to illegal state aid. Apple did not reply to an AFP request for comment, but has previously gone on record saying it pays all taxes required by law and that the amount it substantial. The documents show details of offshore deals involving a US cabinet member, a fundraiser for Canada's prime minister, Queen Elizabeth II and others. How about putting the CEO, CFO, and COO in a prison that is not the usual white collar crime prison. Then the board of directors is dismissed and the assets of Apple sold until the core rots. All the offshore $$ is forfeit. It all may total to what is owed to the different governments around the world. Whatever s left goes into the US Treasury. One notes --ironically-- that "A" is but the first letter of the Alphabet.